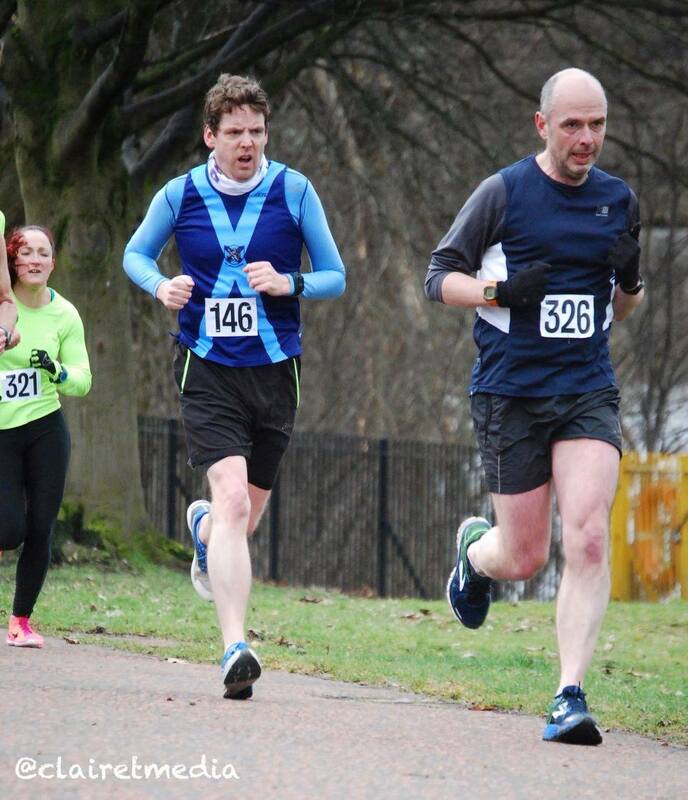 The March 2018 edition of the best wee race in Scotland was held one week earlier than usual due to the last Friday of the month being a public holiday (Good Friday). Our apologies for any confusion that this may have caused, that said some ninety runners braved the low temperatures and icy wind, including the highland pairing of Kevin Schenk and Jenny Bannerman who won the men’s and women’s races, respectively. 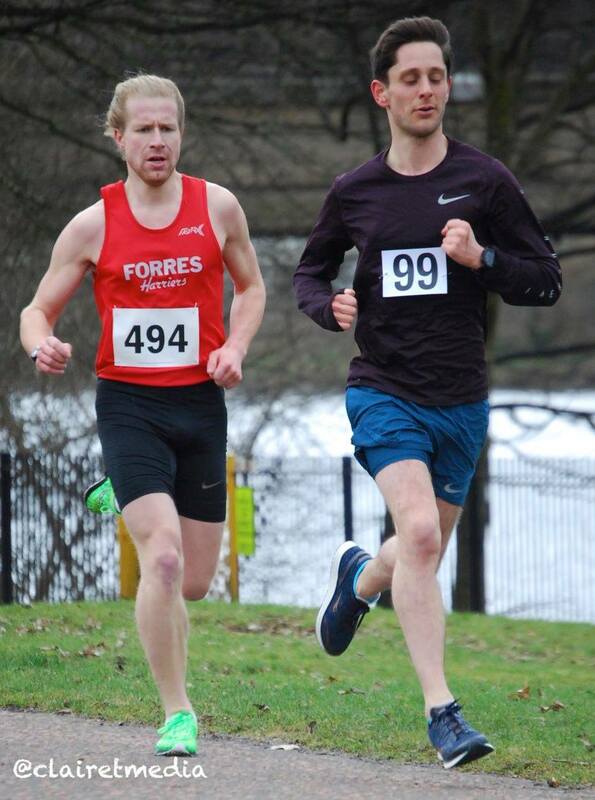 Edinburgh based Forres Harrier Schenk had to wait until the last 500m before surging past the erstwhile leader, Jonathon Roebuck to earn victory, taking 10 seconds off of his PB to cross the line in a time of 9:30, eight seconds ahead of fellow Edinburgh resident Roebuck. Metro Aberdeen’s Alasdair MacMillan placed third in 9:42. 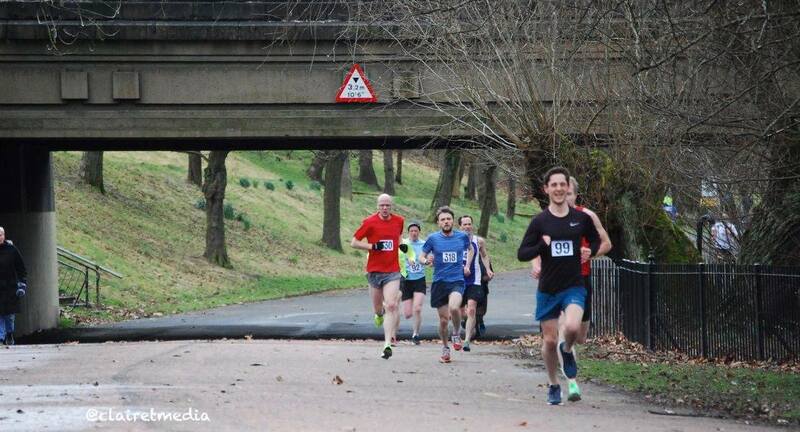 In all, nine runners achieved sub 10-minute finishes. 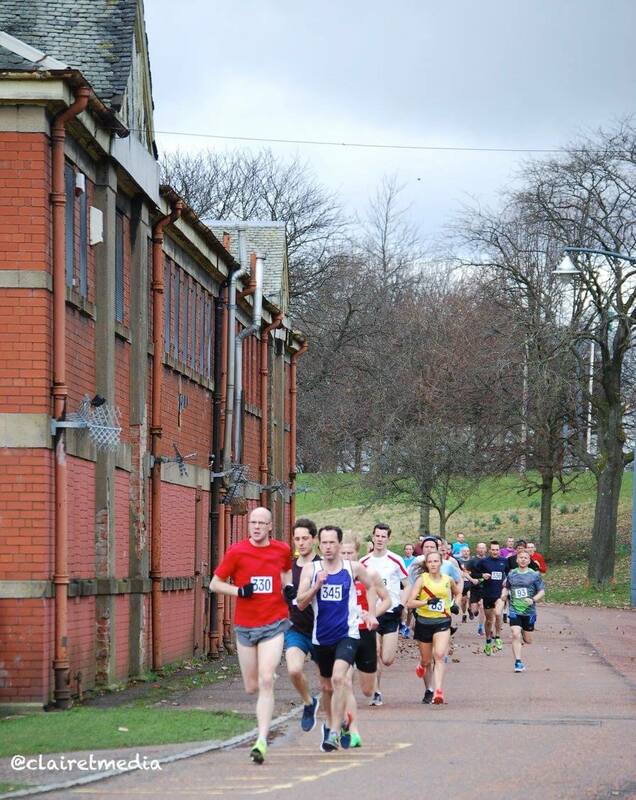 James Gallacher (Kirkintilloch Olympian) won the Super Veteran’s race, narrowly defeating last month’s winner Chris Upson by crossing the line with a time of 10:17 and the highest male wava of the day 86.4%. 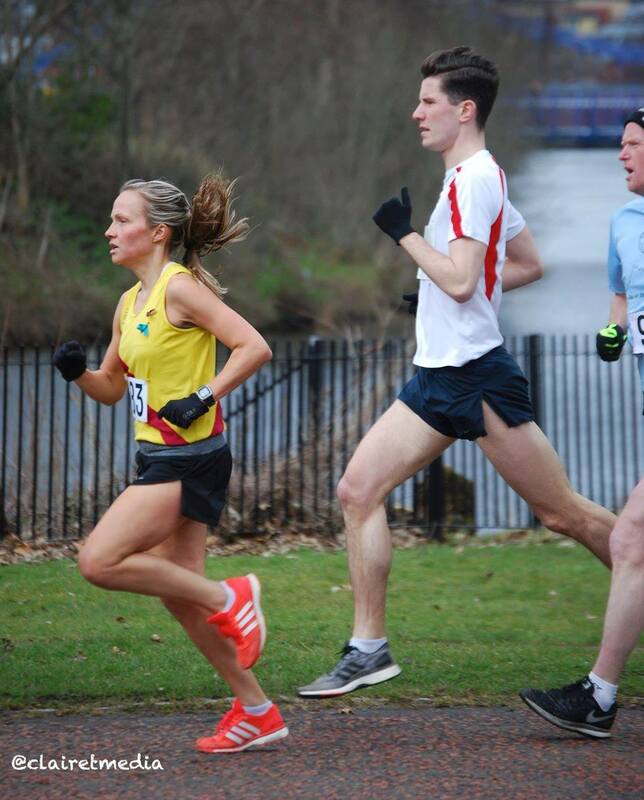 Inverness Harrier, Jenny Bannerman comfortably won the women’s race with a time of 9:54, ahead of debutant Katie Bain of Edinburgh AC who completed the fast and flat course in a time of 10:35. 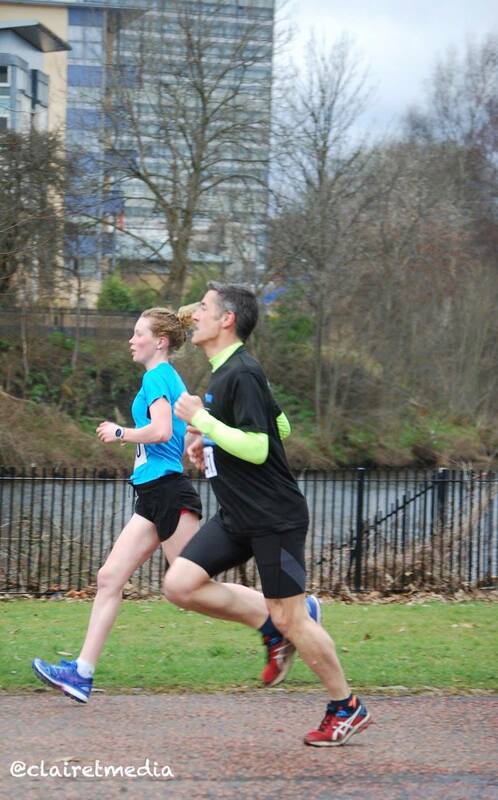 Garscube’s Laura Gray continued her excellent progress by taking another fifteen seconds off of her PB, smashing the 12-minute barrier with a time of 11;54. Cambuslang’s Erica Christie won the women’s Super Veteran’s race, crossing the line in a time of 12:43 with the highest wava of the day 89.64%. Congratulations to everyone who participated in the event and helped raise £199:60 for Comic Relief. Many thanks to the volunteers who give up their time to organise the Best wee race in Scotland and to Claire T Media for providing the photographs. We hope to see you all at next month’s event which will be held on the last Friday of the month.